Posted by Pam in KC in finish. 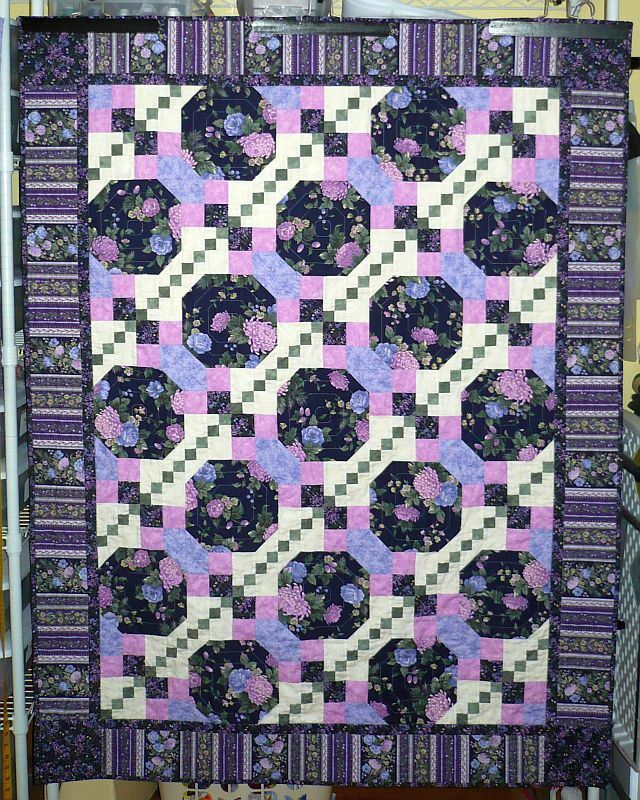 Late last night I finished Mom’s quilt. 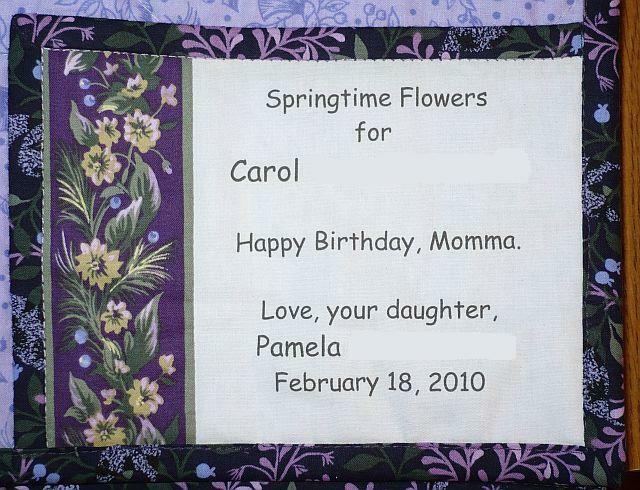 This is the one I started in the last weekend in January, right before she went into the hospital. I took it up to her this evening and she loves it. She said she’ll sleep under it tonight and then when I take her home tomorrow, it will go on her chair. 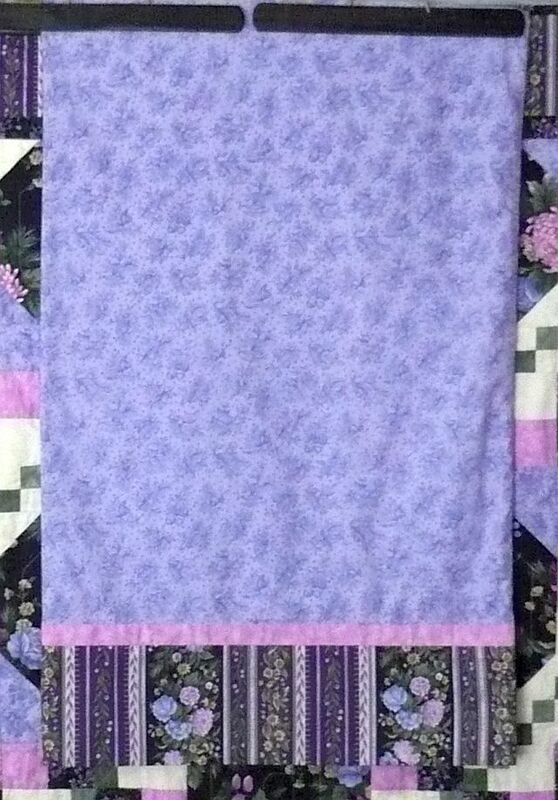 Even though it’s not bed sized (51 x 67 before shrinking) I made a matching pillow case. I used a bit of the border fabric to make the label. Very pretty Pam. I know your mom just loves it.